A dentist who repeatedly bought and used counterfeit dental devices has been suspended for three months by the UK General Dental Council (GDC). Hamza Tahir Sheikh sourced the counterfeits - which included five Yabangbang contra angle fibre optic handpieces, an NSK S Max SG 20 reduction 20:1 handpiece and one Skysea dental handpiece according to a GDC report - from an unidentified online auction site. The equipment was seized following two separate inspections carried out by the Medicines and Healthcare products Regulatory Agency (MHRA) at Sheikh's practice. 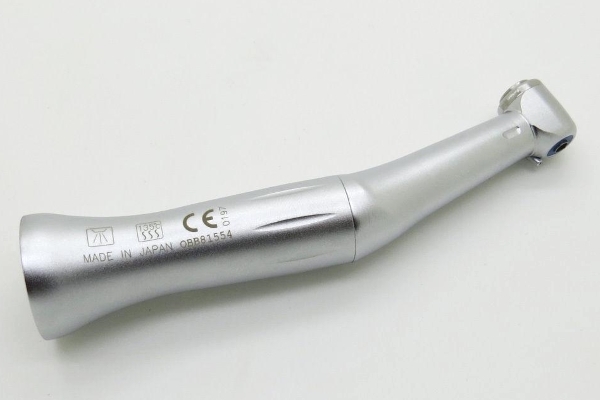 The first of these inspections took place following concerns about a dental device that Sheikh sent for repair, and the second after MHRA officers realised he had made further purchases of dental equipment from the same online auction site. The case "highlights the dangers to both patient and professional registration from using counterfeit and non-compliant devices," according to the British Dental Industry Association (BDIA). It also "reinforces the need to exercise common sense and care when purchasing dental equipment and to have adequate systems in place to ensure that equipment is genuine, compliant and safe to use," according to the trade organisation. Its CEO, Edmund Proffitt, said the suspension may "also sound alarm bells for any dentists who may have purchased from unreliable sources and emphasises the importance of purchasing from reputable suppliers." Last year, an MHRA investigation into Hounslow dentist Fazin Tahir resulted in the seizure of more than 100 counterfeit and non-compliant items of dental equipment from 14 Tooth Booth practices, mainly in the South East of the UK. Last October, the UK regulator said it had seized more than 1,900 counterfeit and non-compliant dental devices including dental hand pieces, dental surgery equipment and drill bits in the last year. The cheap devices - generally being sold online - "can break and shatter while in the mouth, potentially causing horrific damage to the teeth and gums," it said.